It’s a pool of funds earmarked for Economic Development. The funds are actually generated from fees users of Dallas Water pay. The water department is a revenue generating operation for the city — the city charges the utility a fee in lieu of taxes. This money goes into the public/private partnership fund and can be used for whatever the City Council decides, in this case economic development. For those of us that were so hopeful about Costco moving into the decaying eyesore that is the Steakley Chevrolet lot on Northwest Highway and Abrams, only to have those dreams squashed, this is great news. 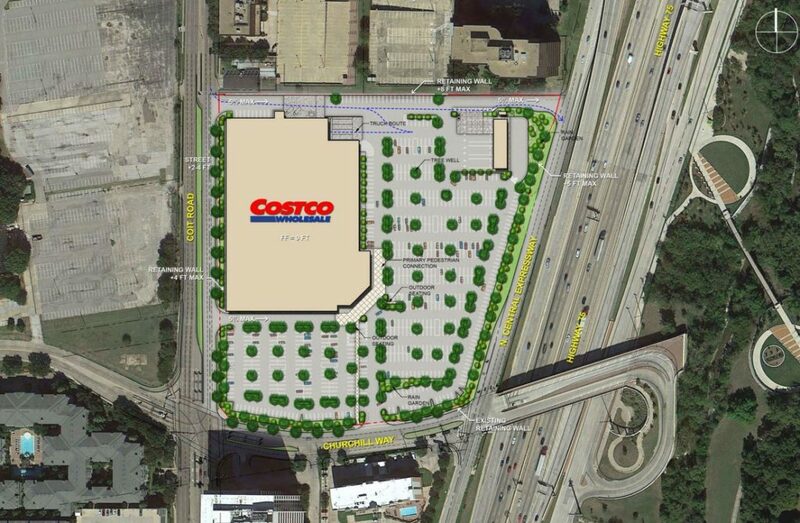 According to Costco’s own numbers, members who live south of LBJ will spend $40 million in their new store at Coit and Churchill Way. Just think of all of the Sam’s Club members that will jump ship, too. I know that I’ll be shopping at the new store once it’s constructed, and I’m not even a current wholesale club member!